No matter what kind of small business you have, one of the best ways to protect your company is by purchasing small business insurance. Business insurance helps you plan for the unexpected and protects your company from the high costs of lawsuits. Some policies will also safeguard your company from natural disasters, theft, and cyber attacks. When shopping for insurance, all business owners want one thing—the coverage they need at the best price. Insureon is an insurance marketplace that furthers this goal. Using Insureon, you can get online quotes for business insurance in a matter of minutes and compare quotes from top-rated insurance companies. We’ll cover what types of insurance you can purchase through Insureon, pros and cons of using this platform, the cost of insurance purchase through Insureon, and best alternatives. Insureon only sells policies from insurance companies that are rated A or higher by A.M. Best. A.M. Best is a global credit firm that rates the financial strength of insurance companies. Higher ratings indicate a better ability to pay out claims. We recommend small businesses use A or higher rated insurers. 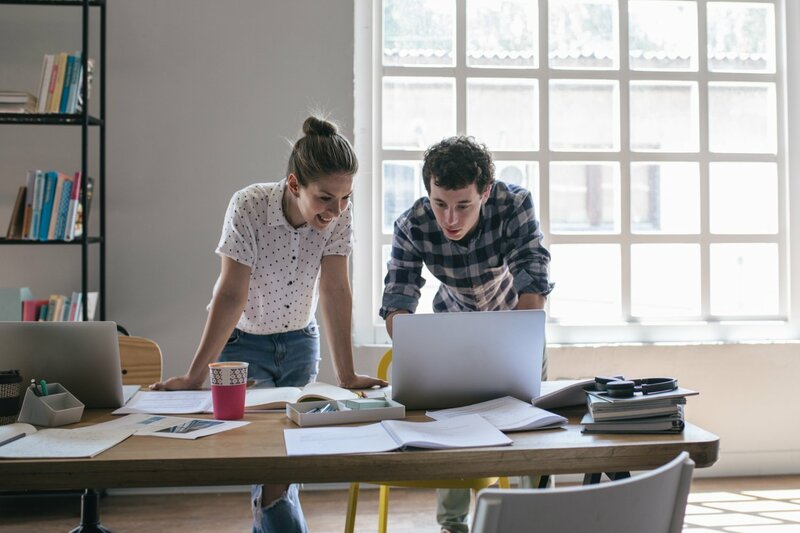 Insureon is a good option for small business owners who want to shop for insurance online, but prefer to receive personalized guidance before committing to a policy. New business owners are often in this position. In about 15 minutes, the time it takes to fill out Insureon’s online questionnaire, you will have several quotes in front of you to compare different insurance providers and policies. Online quotes are available for general liability insurance, excess/umbrella liability, business owner’s policy, commercial auto, and workers compensation. You can also purchase other types of insurance by phone. An Insureon rep will call you to review your quotes, make recommendations about what’s best for your business, and process your payment. Insureon offers a nice combination of a quick online experience, balanced by personalized guidance that you’d typically only expect from an agent or broker. Insureon offers multiple insurance products for purchase on its marketplace. However, you can only get an online quote for five types of insurance—general liability, excess/umbrella liability, business owner’s policy (BOP), commercial auto, and workers compensation. To purchase a policy or to receive quotes for other types of insurance, you’ll need to speak to an Insureon account rep.
General liability insurance protects small business owners from legal claims of bodily injury, personal injury, and property damage. It can be required when contracting with another business, getting a business license, or applying for a business loan. 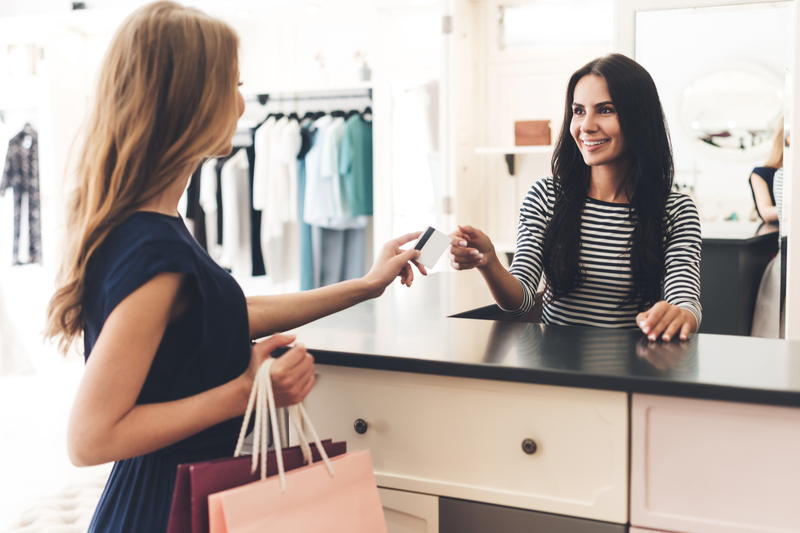 If an employee accidentally damages a neighbor’s property while hanging up a store display, general liability insurance will cover your company. Slip and falls are also covered by general liability insurance. This is basic insurance that’s important for any brick and mortar or digital small business. Another type of insurance that’s available through Insureon is a business owner’s policy (BOP). A BOP is an insurance policy that combines general liability and commercial property coverage. Putting both coverages under one policy typically lowers premium costs. Some insurance companies let you add additional optional coverages to your BOP, but Insureon only includes general liability and commercial property coverage. Insureon offers commercial auto liability insurance, which covers claims of bodily injury or property damage that happen while you or members of your team are operating a business vehicle. This insurance usually pays for injuries and damage to your vehicle, as well as to other parties and property. This is must-have insurance if you or members of your team regularly drive a company vehicle. You also have the option to buy hired and non-owned auto liability insurance. This insurance protects your company should you or an employee get into an accident while using a rental vehicle or personal vehicle for business purposes. Although business insurance is usually optional, states require most businesses with employees to buy workers compensation insurance. Workers compensation coverage pays for medical expenses and lost income when employees get injured or ill on the job. If an employee (or former employee) sues you for work-related injuries or illnesses, workers compensation will also cover the costs of defending the lawsuit. Excess liability insurance, sometimes called umbrella liability insurance, exceeds the coverage provided by an underlying policy. The underlying policy might include your general liability insurance, commercial auto insurance, or certain other types of policies. Excess liability insurance is useful when you’ve already exhausted the limits of an underlying policy and for claims that aren’t covered by the underlying policy. Most small businesses don’t need excess liability, but it’s important for owners in higher risk industries, such as construction and manufacturing. 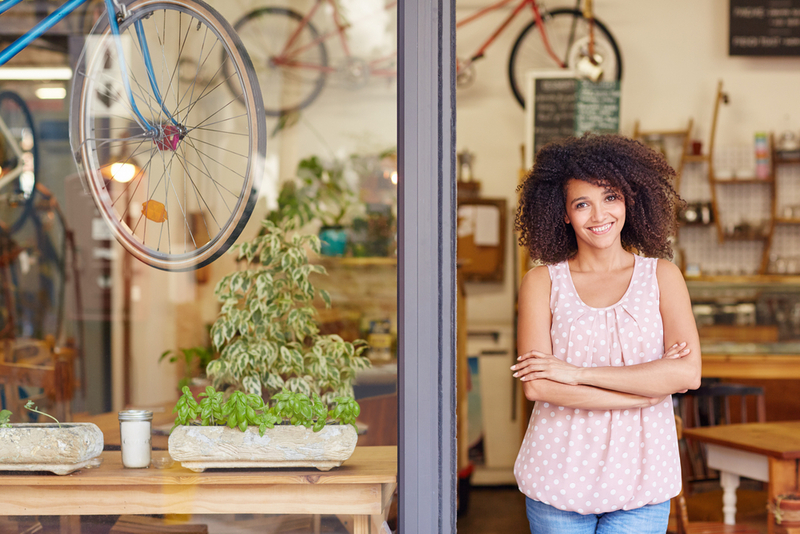 When you’re in the market for small business insurance, there are many options you can try. Many insurance companies and platforms are utilizing technology to offer insurance policies on demand. 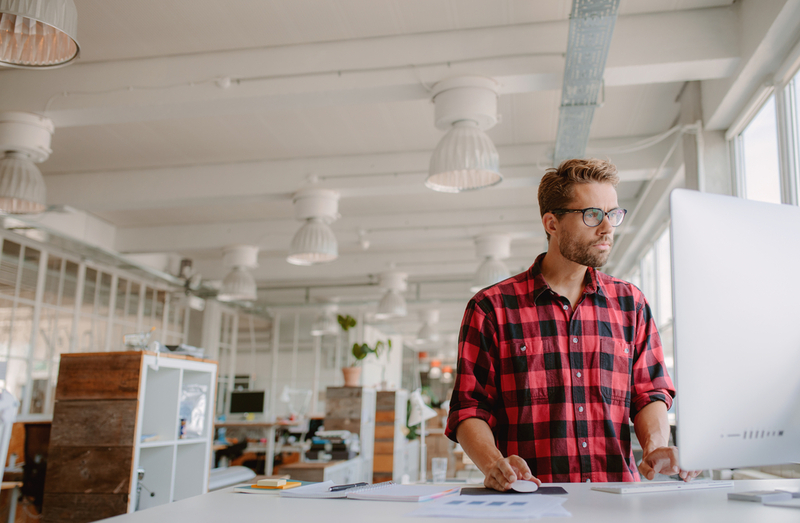 If you’re considering the Insureon marketplace for your business insurance needs, take some time to learn the advantages and disadvantages of working with them. 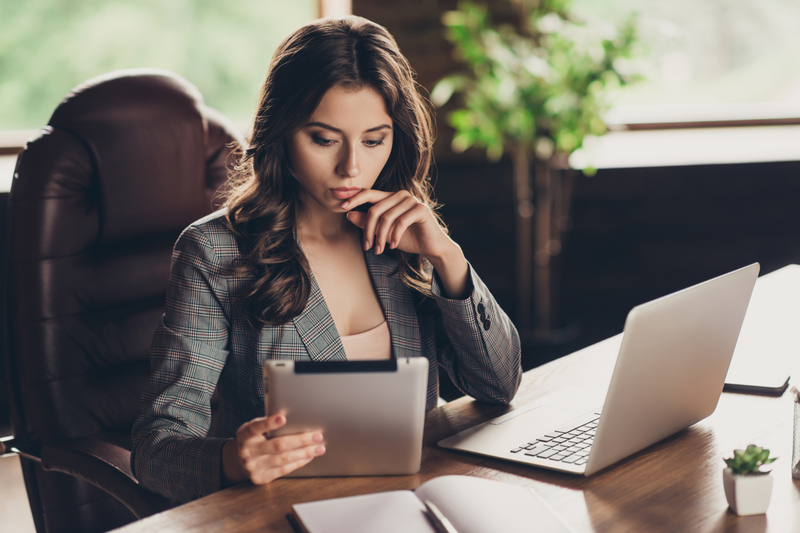 Online quotes for five types of insurance: These include general liability, excess liability, business owner’s policy, commercial auto, and workers comp. You can get a quote in under 15 minutes. Dedicated account rep to help with your purchasing decision and answer questions. Insureon account reps get generally good ratings for customer service. Manage your policy online after purchase: You can review your policy, add an additional insured, and get proof of insurance online. Very transparent about premium rates: Insureon publishes reports about the average cost of policies sold through their platform. This is a huge difference from legacy insurance companies, which don’t provide any indication of pricing until you get a quote. Limited online capacity: Only five types of insurance are available for online quotes. If you want to actually buy a policy or get a quote for another type of insurance, you have to speak with an Insureon rep.
Limited help post-purchase: Once you purchase your policy, Insureon, like most insurance marketplaces, will send you to the insurer if you need additional help. For instance, you can’t file a claim on Insureon in most cases. You’ll need to deal with the insurance company directly. The insurance industry can be somewhat of a black box when it comes to pricing. Insurance companies charge variable rates based on a company’s industry, size, location, and the specific risks that they’re insuring against. Insurance marketplaces like Insureon are more forthcoming about price. Insureon even publishes insurance cost reports, where they detail average rates for different types of insurance and different industries. The data is aggregated based on what Insureon customers actually pay. General liability: Average annual cost is $741. Business owner’s policy: Average annual cost is $1,191. Professional liability: Average annual cost is $1,735. Workers compensation insurance: Cost ranges from $0.75 to $2.74 per $100 of wages. Excess liability: Average annual cost is $1,533. Other than transparency, the other value add of Insureon in terms of cost is the ability to compare quotes from multiple insurers. In doing so, you can choose the most affordable policy that has the coverage you need. Insureon is an insurance marketplace, which means they partner with insurance companies and don’t underwrite insurance on their own. For that reason, Insureon also doesn’t handle claims. You must directly file claims with the insurance company. If you contact Insureon for claims filing, they will transfer you to the insurance company’s claims department. Insureon is just one option for buying small business insurance. The insurance technology industry has grown, and continues to grow faster than ever. There are several insurance marketplaces similar to Insureon. The difference among them is how fast they can get you insurance, and how much human contact there is throughout the process. Insurance companies are also utilizing technology better and offering more online, self-service options. Small business owners who want more personal guidance can opt to work with an agent or broker. Like Insureon, CoverWallet is an insurance marketplace where you can compare quotes and coverage options from multiple insurance companies. You have to provide information about your business’s location, product or service, revenue, and payroll, and they’ll show you policy terms and rates from multiple A-rated insurance companies. Insureon offers more human touch points than CoverWallet throughout the process. You have to talk with an Insureon rep to complete your policy purchase, whereas 70% of CoverWallet customers buy a policy online without any human interaction. Insureon runs a big call center staffed by reps who talk to business owners all day long. If you’re a new business owner or want guidance while buying insurance, then you might prefer Insureon’s more personal process. Buying insurance with CoverWallet is faster. 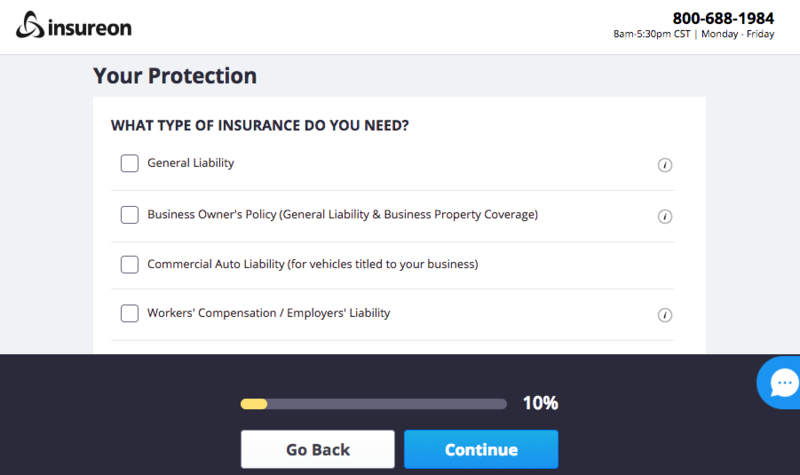 CoverWallet sells approximately 30 types of insurance online. Insureon offers online quotes for only five types of policies, and even there, you have to complete your purchase by speaking with a rep.
At first glance, Next Insurance looks and feels a lot like Insureon. A small business owner visits Next’s website, provides some information about their business, and gets a quote. That’s where the similarities end, however. Next is not an insurance marketplace. Unlike Insureon, which partners with insurers to provide small businesses with insurance, Next is the insurer. Next is an insurance company that owns the entire process, from application through to claims. Next drafts the insurance policies, underwrites customers, prices the policies, sells them directly to small businesses, services them, and handles claims. 90% of Next Insurance policies are sold online without any human interaction. 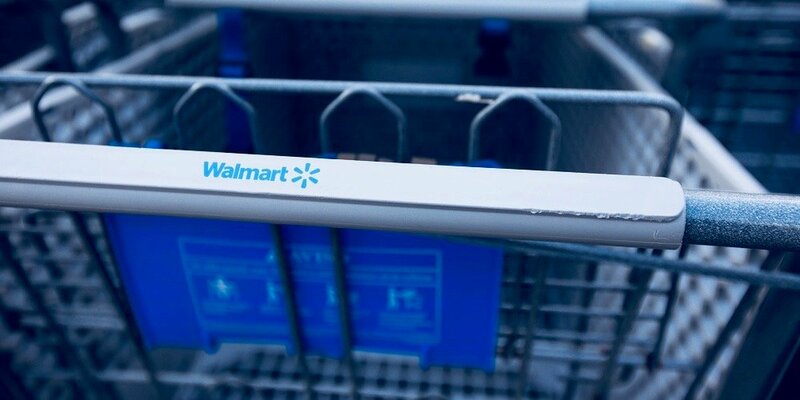 Currently, Next sells three business insurance products—general liability, professional liability, and commercial auto insurance (a workers compensation product is coming soon). Plus, they don’t charge fees, a big win for small business owners. The downside is that these insurance products are not available in all states. Chubb is actually one of Insureon’s insurance company partners. However, you can also go directly to Chubb to buy coverage. Chubb has been around since 1882, so they have hundreds of years of experience with business insurance and are equipped to handle any industry’s insurance needs. Chubb is a large A++ rated (highest possible rating) insurance company that sells a variety of consumer and business insurance policies. They are the world’s biggest publicly traded property and casualty insurance company. In spite of how big they are, Chubb has streamlined the process for applying for small business insurance. They have a separate small business insurance website, where you can apply for a free quote for general liability, business owner’s policy, professional liability, and cyber insurance coverage. You can also purchase the policy online, something that Insureon doesn’t offer. And once you have a policy, you can manage it online from your Chubb account. That’s not commonly available with large insurance companies. If you prefer, you can also go through an agent or broker to buy Chubb insurance. Insureon offers a different, easier way to buy small business insurance. Instead of having to fill out lots of paperwork and speak to multiple insurance companies, Insureon brings the information onto one marketplace platform. All you have to do is fill out the online questionnaire about your business, and you’ll have multiple quotes in about 15 minutes. Insureon reps will help you choose the best option for your business. There’s a good balance of a digital experience and more personalized help that many small business owners will like.